“It’s fantastic news that Manchester City FC has agreed to host the Awards Ceremony. We’ll be working with the club to make this event a really special one for the winners of this year’s competition in England." Show Racism the Red Card is pleased to announce the venue for the SRtRC School Competition 2014 (England) will be the Etihad Stadium, Manchester. Manchester City FC has kindly agreed to host the event which is one of the highlights of the SRtRC calendar, on Tuesday 6th May. SRtRC Chief Executive, Ged Grebby said “It’s fantastic news that Manchester City FC has agreed to host the Awards Ceremony. We’ll be working with the club to make this event a really special one for the winners of this year’s competition in England. 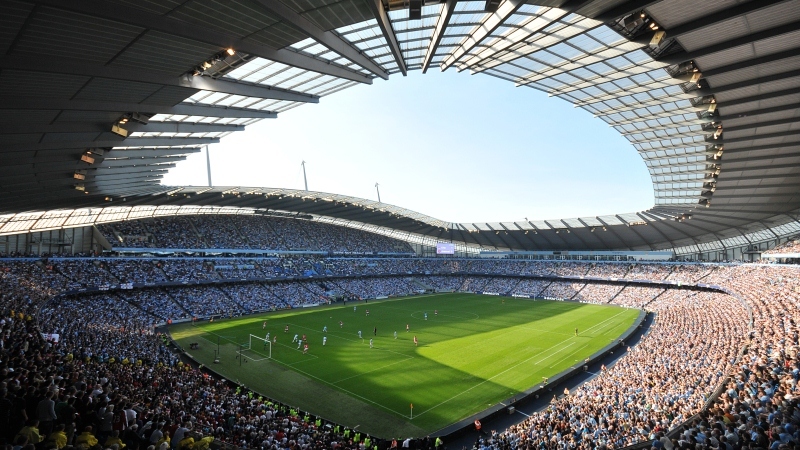 Manchester City FC and the Etihad Stadium join a list of host venues which includes Stamford Bridge, Old Trafford, St James’s Park, Wembley, Villa Park and the Emirates Stadium. Schools still have time to register for the competition which is free to enter. Young people can produce anti-racism themed entries in any medium including artwork, creative-writing, film and music.